Are you being overwhelmed by the modern obsession with communication? It’s ironic that so many things in modern life, designed to make our lives simpler, seem to have had exactly the opposite effect. And top of the list for many people is the modern obsession with communication. OF EVERYTHING. RIGHT NOW THIS SECOND. The internet, allowing instantaneous access to information on any topic. E mails instead of letters written on paper, with real ink and delivered by real people. Mobile phones long since used simply for talking to people. Facebook, Twitter and the like; calling for continuous updates and instant opinions on any topic under the sun. Look back only 15 or 20 years and it’s easy to see how much things have changed – and in such a relatively short time. And estimates for the future are of faster and ever more dramatic rates of change. 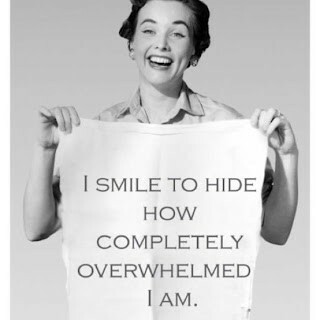 With all of this going on is it any wonder that so many people are feeling overwhelmed? Like the proverbial hamster in a wheel. Running fast, going nowhere. Communication is an essential part of who we are. But somehow it’s turned an obsession and, in the process, we’ve lost touch with our real lives. Almost without us noticing, some very useful tools have become our masters. And tyrannical ones too, with a big dose of peer pressure thrown in for good measure. But just because everyone else is obsessed by communicating NOW, it doesn’t mean that it’s necessarily a good thing. So how did this happen? Well, the slightly tongue in cheek answer would be that we were so distracted we didn’t notice (!). More seriously though, there seems to be a strange kind of logic that if something is good, then more of it is better. And nowhere can this be seen more clearly that in the continual search for faster – and easier – forms of communication. For those who remember the advent of mobile phones – and it wasn’t that long ago – being able to communicate on the move was a real novelty. And incredibly useful. No longer tied to a fixed location, communication suddenly became much, much easier. After that, e mail in place of paper and ink letters, wasn’t such a big deal at all. Nor was the internet, replacing trips to the library and talking to people to obtain the information we required. Each step up in communication followed hot on the heels of its predecessor, with people quickly forgetting how things used to be. Roll forward to the present day, with smart phones and i phones now doing what computers used to be able to do – and much more. However, with all these changes, the emphasis seems to have switched from meaningful communication to speedy communication. And this is where the problems begin. These days the focus is on doing things quickly and being busy; rather than whether all this activity is really productive and helping you achieve the life you desire. While it may be a radical idea, how about asking yourself whether all this communication is really helping or hindering you? Making your life easier – and flow more smoothly – or just keeping you busy – and distracted. Do you really need to be constantly available to answer every phone call, e mail, posting or tweet RIGHT NOW? They may be important to the person sending them, but are they really important to you? In all probability, not. Yes, we know it may upset some people to start with, but why let your life be determined by someone else’s agenda? Voicemail was invented for a reason. To take messages when you weren’t available. When you were busy living your life. Doing something more interesting and worthwhile. So why not use it to filter calls? Yes, there’ll be some that you choose to answer – or return quickly – but the majority don’t need to be. E mails and all those postings and tweets can more easily – and efficiently – be dealt with at the beginning and end of the day. That’s if you really need to deal with them all in the first place. And you’ll be amazed by how many get overtaken by circumstances – or dealt with in your absence – in the process. Added to this, as you stop being available RIGHT NOW, many of these interruptions will just dissolve away; as people get used to you being available on your terms, not theirs. Imagine how much this will change your day. Of the pressure it’ll take off. The extra time you’ve suddenly got. How you can focus 100% on whatever you’re doing. Suddenly the things that you actually need to do, get done much more quickly and easily. And the best bit is that you’ve easily regained some control over your life. In the process you’ve put the focus back on doing things you want to do – and help move you in the direction you want to go – rather than dancing to someone else’s tune. It’s the simple things you do every day that make the difference. So why not try it for yourself?